The Listings grid allows for multiple views of TV listings including single channel view, HD channels only, and favorite channels. 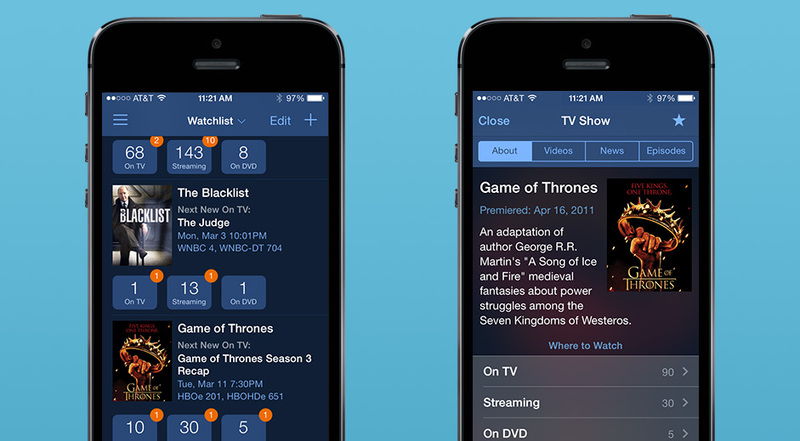 Clicking on a specific show provides show details with options to set-up alert and save the show as a favorite. 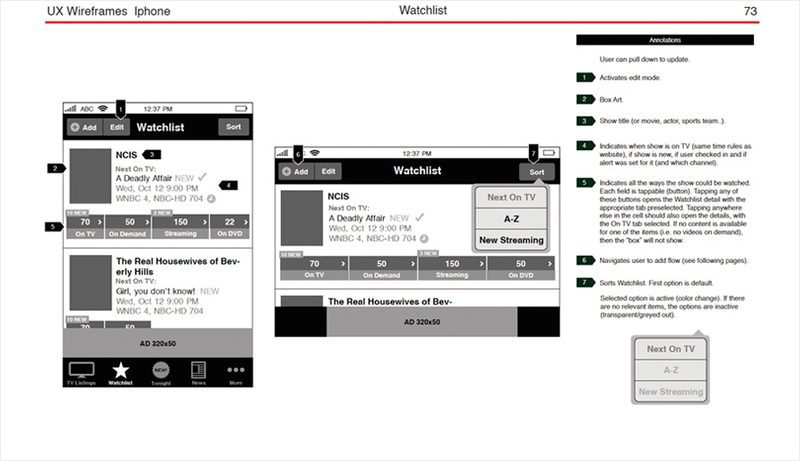 Watchlist provides information on where and when to watch a show either on TV, streaming or on DVD. 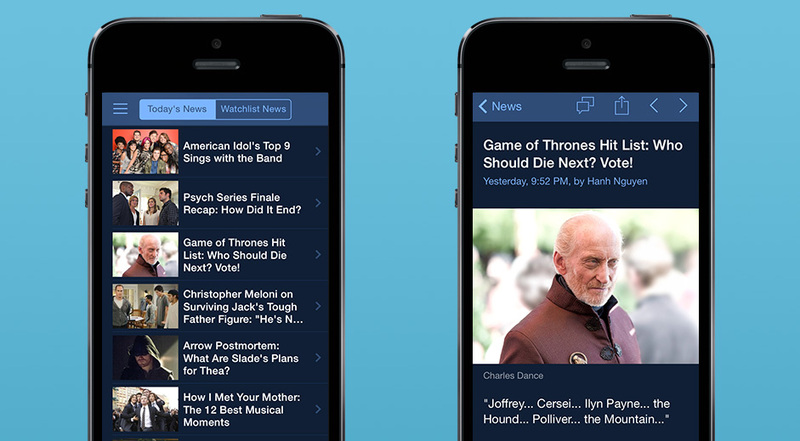 Show detail screen provides links to videos, related news and episode guide. 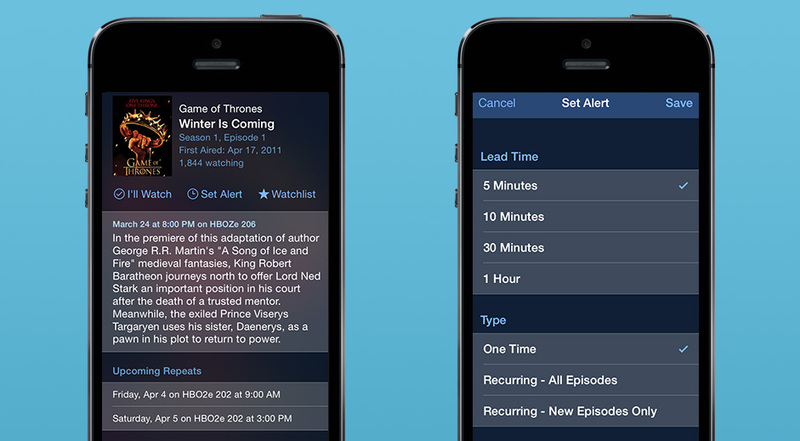 TV show episode detail allows to set up specific alerts for that episode. 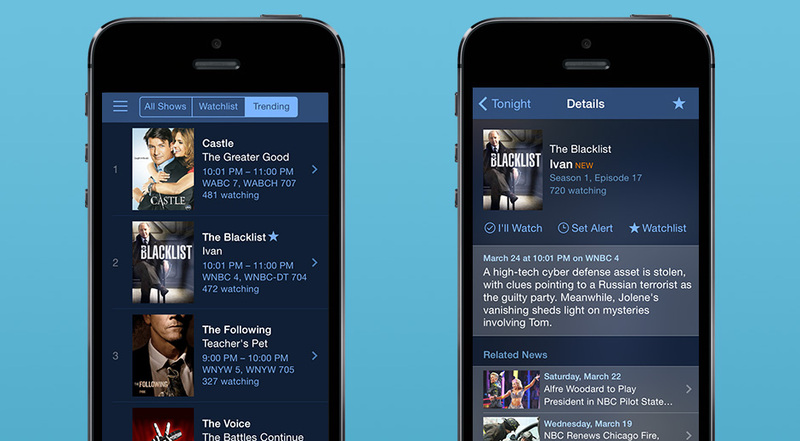 TV shows with new episodes tonight, providing episode details, option to set alert and related news. 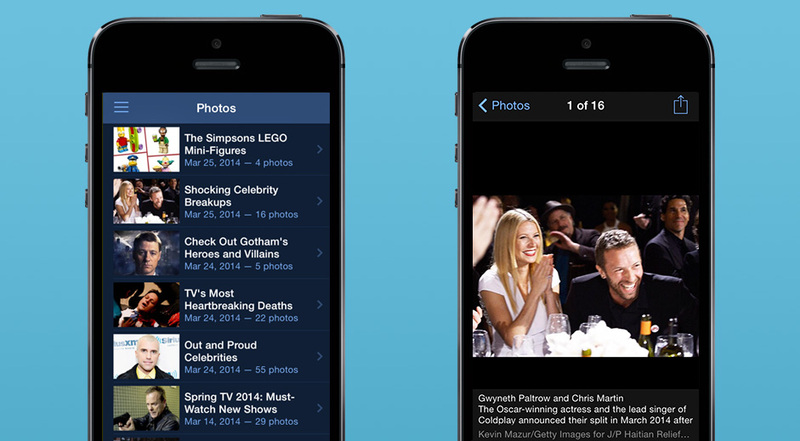 News aggregator and individual news story. 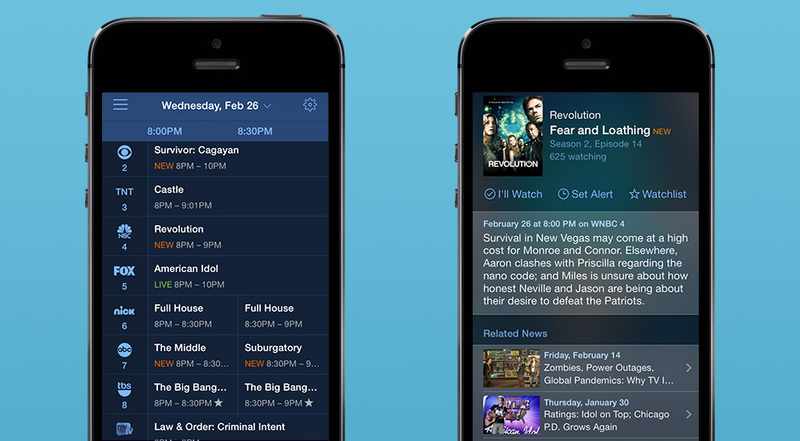 UX and interface design for the TVGuide.com website and mobile app.
. Conducted usability tests to identify current site issues.
. Reviewed customer calls and emails.
. Defined competitor set and analyzed competitive sites.
. Audited existing content; identified new content; established taxonomies.
. Developed site maps; created wireframes.
. 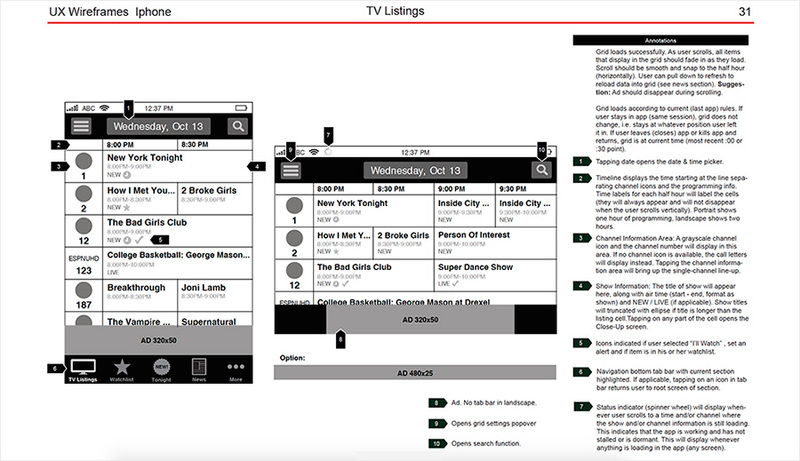 Created style guides and design templates.
. For the mobile app, implemented a color scheme using a dark background to takes into account research that shows most users would use the app while watching TV at night.